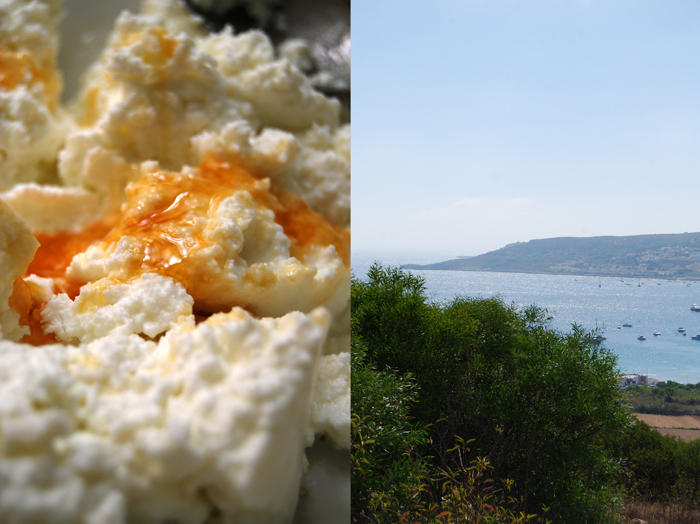 Last summer, I read Arnold Grech’s name on a jar of golden Maltese honey for the first time. I had visited Antoine Vella, one of the last artisan weavers on the island who makes beautiful carpets with traditional patterns. He is one of Arnold’s close friends and he had suffered from allergy problems for years. His friend, the beekeeper advised him to take a spoonful of honey collected from the area where he lives twice a day. Since that day the weaver has been cured and there is always a jar of honey to be found next to his weaving loom! 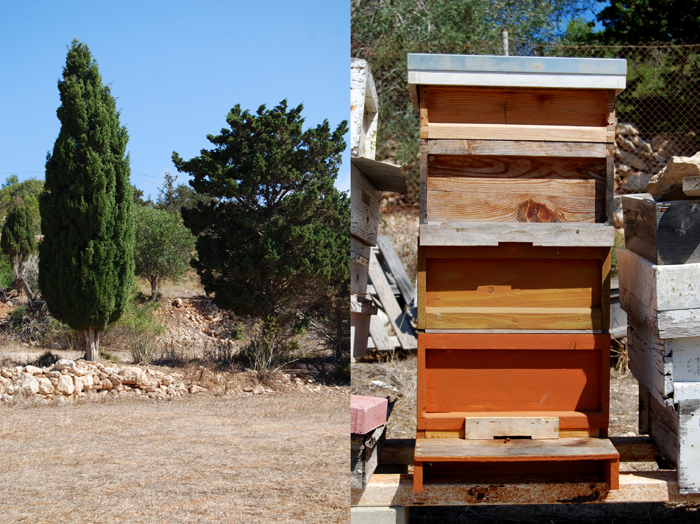 A year has passed and finally I find myself at Arnold Grech’s house to talk about bee keeping. Everybody I asked recommended him to learn more about bees and the island’s delicious honey! Malta is supposed to have its name derived from the Greek word for honey, meli, the ancient Greeks called the island Melite (meaning honey-sweet) and later, the Romans called it Melita. Malta has always been famous for its production of a unique honey due to its endemic species of bees, which also led to its nickname, the land of honey! I looked forward to meeting Arnold and to listen to the man with 65 years of beekeeping experience, he is known to produce some of the island’s best honeys! When we met the first time to drive up to one of his apiaries in the north, a pinched nerve got in our way and we had to change our plans. I interviewed Arnold at his bed-side as he couldn’t move at all. We spoke for hours and I was fascinated by his stories, his knowledge and passion. 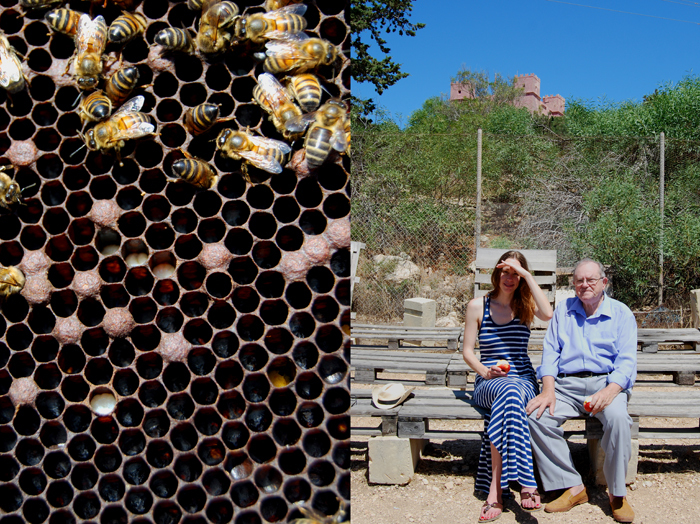 He told me so much about his beloved bees that it was hard for me to wait until we could finally drive up to Mellieha where many of his colonies of bees live at the moment. One of the many stories which amused all of us when we imagined the scene was the mating of the bees. When the Queen leaves the hive to mate, she makes a shrill noise to inform the drones (the male bees) that she is ready. She leaves the hive, followed by hundreds of male bees, accelerating constantly until there is just one drone left which can keep up with her. She tests him further by speeding up a bit more to make sure that he’s the right one. When her choice is made he’s allowed to dock onto her! So finally the day had come, Arnold felt much better and we met in his “honey kitchen”, his apiary in Mellieha which looks like a place in heaven! It’s right under the famous Red Tower which was built in 1649, the sparkling Mellieha bay lies to the east and the Ghadira Natural Reserve spreads to the south and west. 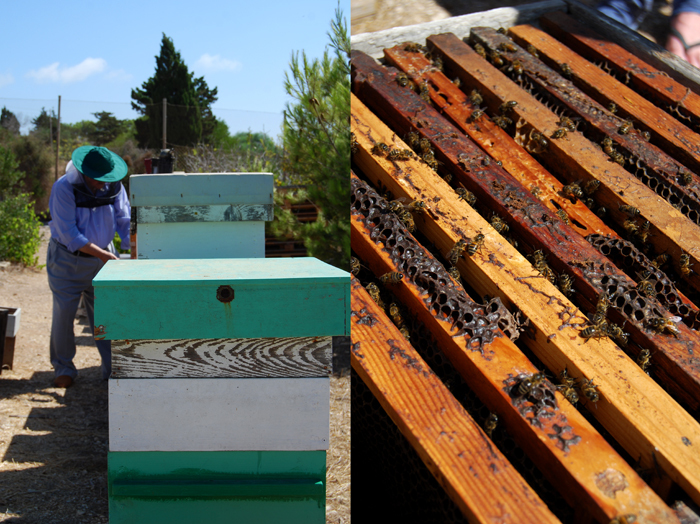 I learnt so much about the bees, the colony’s organization, the different honey flows and much more! Arnold keeps his bees in a few apiaries, he produces his own honey but he is also the island’s main Queen (bee) breeder which he sells to other beekeepers. He makes various kinds of exquisite honey throughout the year and we didn’t leave him without taking a couple of them home with us, Wild Thyme and Orange Blossom honey. If you would like to buy Arnold Grech’s honey, please contact him at garnold@onvol.net. 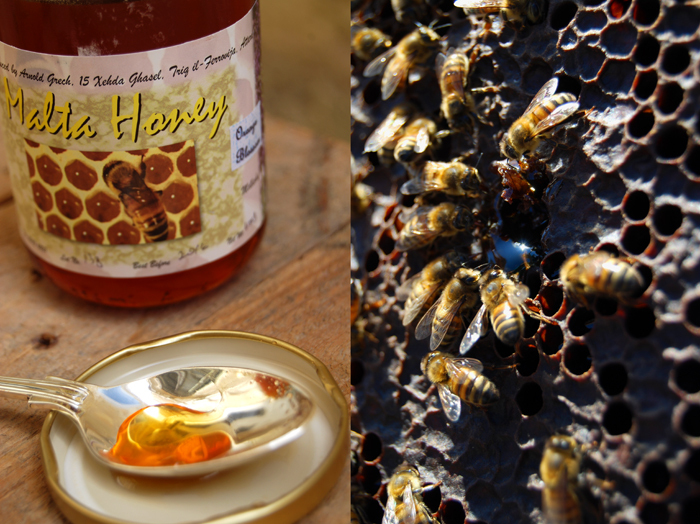 There is a high demand for Maltese honey, its unique taste and quality made it very popular, in and outside Malta. You should only buy the island’s honey from trusted beekeepers as there isn’t always Maltese honey in a jar when it’s written on it. This is a problem that occurs in every country that creates a high quality product with a limited production. If you’re unsure about a certain honey’s origin, just get in touch with Arnold who has been an agriculture consultant in Malta for decades and who knows Malta’s honey producers and their production like no one else! When we went to Gozo, he told us to visit one of his students in Gozo, Joey Xuereb. 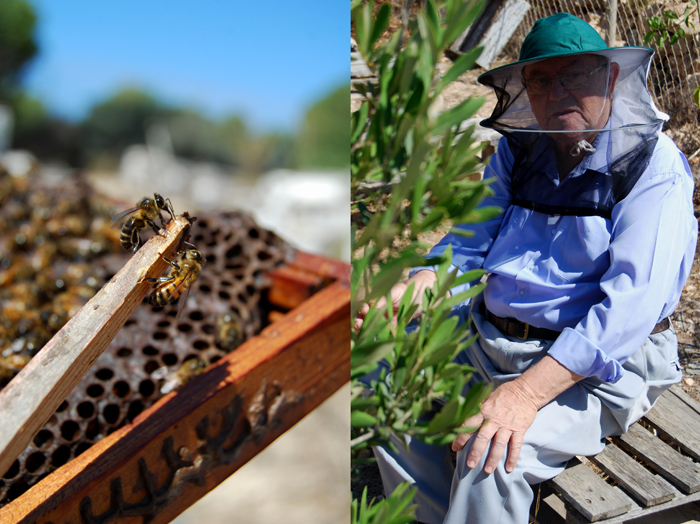 He has a beautiful apiary right at the harbor in Mgarr and sells delicious honey as well! 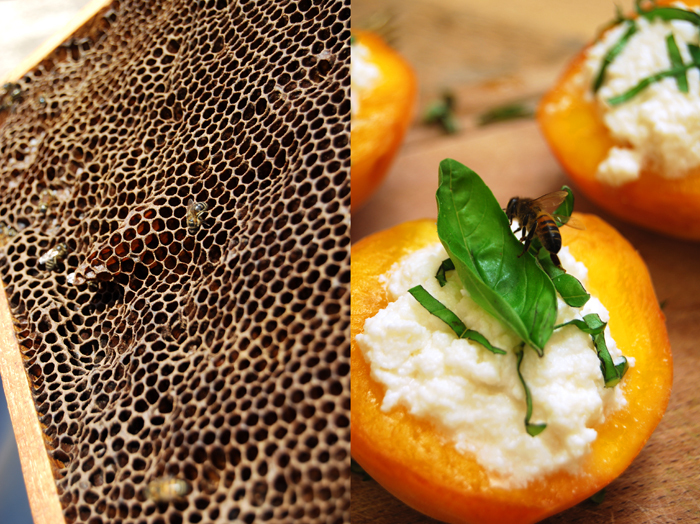 One the many recipes I tried with Orange Blossom Honey are Peaches filled with Honey Ricotta and Basil – just divine! Fittingly, a bee decided to have a taste as soon as I served them in the garden! 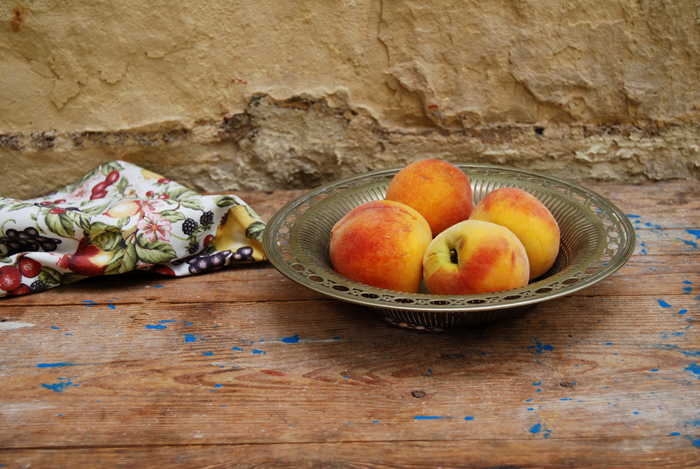 Whisk the ricotta and honey, sweeten with honey to taste and fill a tablespoonful into each peach half. Sprinkle with the basil and, if you like, pour a little more honey on top. When and how did you become a bee keeper? I had to sit for a competitive Grammar School examination way back in 1950. I used to visit my uncle who was a bachelor, frequently. On hearing that I had to study hard for this examination, he told me that if I passed on my first attempt, he would give me a colony of bees. He had three colonies in his garden. Each one was housed in an Earthenware pottery jar. After successfully passing the exam, my uncle kept his word and put one of the three colonies of bees he had at my disposal. I used to go to his house so that together we see the bees. And from then on I never looked back. How many colonies of bees do you keep and how often do you visit them? The numbers of colonies of bees fluctuate from time to time. I am the main Queen (ed. queen bee) breeder of the Islands of Malta. I rear Apis mellifera ruttneri queen bees only, the Maltese honey bee. Today, there are many beekeepers who import Apis mellifera sicula from Sicily. Having ten months of sunshine and good weather, plus two months of mild winter, I take advantage and keep rearing Queen honey bees throughout the year. This is coupled with eight honey flows in a continuous honey season beginning from 1st September and finishing on the 31st of August the year after. The honey flows occur in October – carob trees, then in December asphodel. In January the bees forage on borage flowers and in February it’s red clover. In March, we have white thistle and in April orange blossom. From the last week of May and all June it is wild thyme.The last honey flow would be eucalyptus in late August and September. At present I have 183 colonies and some 38 Virgin Queens in the mating period. This year I have already reared 600 Queen bees. More than half of my Queens are normally requeened after the second year. And some of my customers are understanding the tricks of lessening swarming in the apiary. In European countries this could be done after the third year, since they have a shorter period for honey flows. You have called the bees “your drug”, what about them fascinates you so much? What did you learn from them? During the last 50 years (I’ve been keeping bees for the last 65 years) I’ve been studying beekeeping in Israel, England, Spain, Switzerland and Tunisia. I have won all these scholarships through CHIEME. I have also studied Apitherapy on a personal basis. Together with Prof. Walter Sheppard of the Washington State University, Prof. Maria Arias of Sao Paolo, Brazil, I carried a study (DNA) on the Maltese honey bee i.e. Apis mellifera ruttneri. We gave it the name of a German scientist who worked on many a DNA of honey bees. Today, I can say that I have studied a wide sphere of beekeeping in European and North African countries. As I have already stated, our beekeeping season is stretched throughout the year. Nowadays, when a honey flow is nearing, I prepare to move a number of colonies of bees to the area. Already set with Supers on (where the honey nectar is stored), the only inspection takes place three days after moving them. Then, according to the progress of the flowering period, another inspection takes place fifteen days later. What fascinates me is the way they build the comb. From experience I know how to introduce new foundation in the right time. Bees do not produce beeswax if there is no honey flow on. You can also help the colony in increasing the amount of nectar collected. I do not use chemicals to treat Varroa jacobsoni (ed. a disease). Today we know that apart from Varroa jacobsoni there is Varroa destructor which is immune to certain chemicals. I use drone brood. A Queen, in her first year, does not lay drone eggs. By keeping a couple of old Queens, you can produce sets of unsealed drone brood which one can distribute to 1st year Queens. As usual, before the brood is sealed the varroa mite enters the cell to meet the larva. Both are sealed in. When the larvae are nearing to emerge from the thin cocoon (after 24 days), I take them off without bees and see the varroa is killed. Thus saving money and I get a better crop -organic. Another thing which really fascinates me, is the way they accept irregular spacing in Supers which I make and how they keep expanding on the same comb. Thirdly, I can create a situation in the brood chamber where the Queen increases her laying powers and arrives earlier in her top numbers of eggs (worker bees) by four to five weeks before the honey flow. This is done on a work phase of 28 weeks beginning from the 1st week in October to March. The end results in a peak of flying bees before the honey flow in April (orange blossom) and wild thyme (June). From the bees you have seen in Mellieha (ed. where Arnold keeps some of his colonies, in the north of Malta), I estimated that the crop is nearing 200 kg (400 pounds). Could you give a short description of the cycle of a bees life and the inner workings of a colony? The Queen bee is an egg laying machine. The drone supplies the goods when needed in case of a Virgin Queen. The worker bees do all the rest. The worker bee, in her first three days after emerging from the cocoon, cleans the empty cells preparing them for the Queen to lay. In the following three days, having developed a gland in its head, the bee prepares and feeds what is called the bee-milk. In the next three to five days, the worker bees will be supplying the Queen with royal jelly. After the 11th day, they can produce beeswax, through thin pockets beneath the abdomen. On the 16th day, they begin guard duties at the entrance of the hive. They begin practicing their way to and from the hive by making orientation flights until on the 21st day they begin foraging. These bees follow scouts which had left the hive before to find new pastures. When these scouts arrive home fully laden with nectar and pollen, they do not drop their goods in cells and leave the hive to bring back more. They begin going on a pattern on the comb challenging new foragers to follow. As these new recruits are identified they are given a taste of the goods. Then they keep following her to get more information, where the new source is situated, if this is in front or behind the hive, how far it is by means of the shaking of the abdomen and by using the sun as their compass to find their way back (ed. this is called the dancing of the honey bees). Search for “Dancing of the honey bees” on the internet to get a detailed scientific description of theses scouts and their way forward. What is the biggest threat for bees today? What do you think we must change about how we treat our environment? There are many factors which are threatening bees worldwide. In Malta, one factor is the rearing of undervalued Queen bees. Other beekeepers are importing Queen bees from Sicily which is a different race/ species from the Maltese one, with a different orientation. 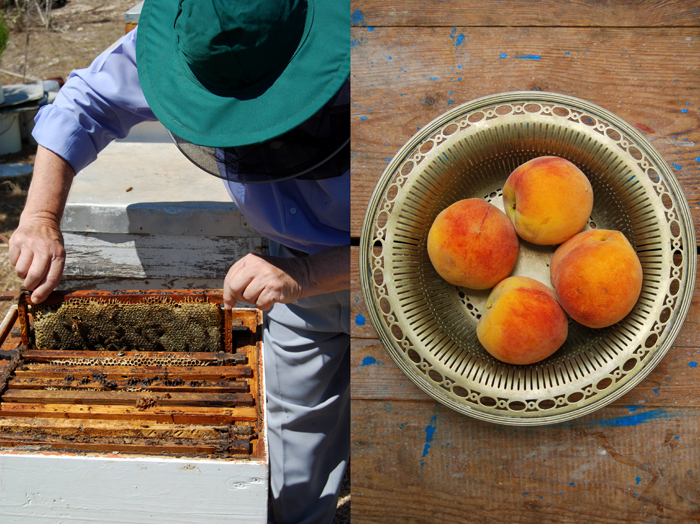 Beekeepers don’t settle for bee’s honey flows but need more. Stress takes over and the end result would be diseased due to stress. They are feeding bees early in the season whilst normally Queen bees are left to lay during the year, according to the honey flows. They also tend to keep the bees without medication when they need it, so they get weak and are attacked by stronger colonies robbing their honey and spreading diseases. 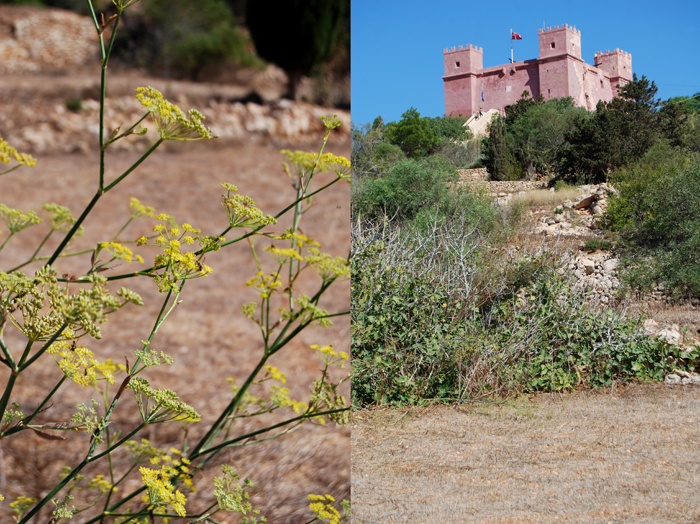 In Malta, insecticides are controlled and spraying in fields is controlled too. My favorite dishes are cooking rabbit in different ways and using honey to get a better blend and aroma. I also prefer to have white fleshed fish such as grouper and sea bass and tuna. Again cooking in different styles, especially steamed, I only use honey, sauces are optional. Spices are rare in my cooking. Home cooking was the best as it was 20 or 30 years ago, I’m still doing it today. As a matter of fact you don’t see me using milk, yoghurt and such items in my cooking. Plain and simple is the best. I have been cooking since I was eleven. Being the elder child in a family of ten, you have to put your hands in to help. My first dish was fried pork and chips. I am not a fan of eating out. But there is a time when I feel having a go at either Michael (Michael’s in Valletta, he is called Il Re del Pesce), known for his exceptional cooking of fresh fish, or Il Gillieru, Tony Cremona, in St Paul’s Bay. I have already spoken about my choice, definitely it’s Michael. By time, you increase your experiences and add to your list. When I was a bachelor, I used to catch pilot fish and cook for another 20 or 30 bachelors. We used to meet in one’s house and I would cook grilled pilot fish with a special tomato uncooked sauce – the Maltese way. Where can I find Arnolds pure honey please? You can only buy the honey directly from Arnold, his email is: garnold@onvol.net. would love to buy some honey, how can I go about it please? Where can I find some PURE honey to control my cough? Kindly give me address and telephone no. Here is Arnold’s email: garnold@onvol.net. If you can’t reach him, please let me know and I’ll give you his mobile number. Hello went to buy from his home but no reply. Can you please give me his mobile so I call before I go please. Hello Jane, let me get in touch with Arnold, I will email you his mobile number as soon as I spoke to him. I’ve been buying Mr Grech’s honey for years. Nothing beats it. The orange blossom is divine! You just know that it s pure honey you re getting! Meike, I discovered your blog via Bread Exchange blog. Your blog is really beautifully written, and I love the Meet in Your Kitchen feature! Brilliant! Thank you so much Susan! I love these features, they are so much fun! 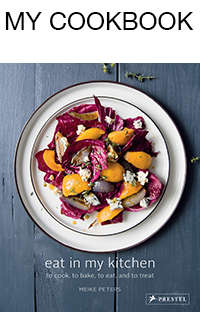 It’s a great chance to get to know someone through the person’s kitchen or their creative culinary spaces. I’ve learnt so much about my hosts, their passion and skills. I’m planing a ‘meet in your kitchen’ feature with Malin from The Bread Exchange, that should come soon! I have been following Arnold for a number of years. Besides being very knowledgeable he is also very dedicated and has a great deal of respect towards his ‘bees and honey’. 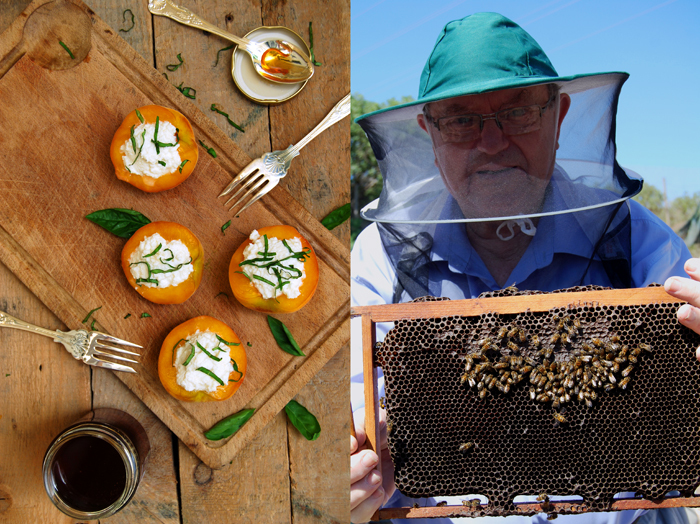 I have learnt so much about bees and the process of Maltese honey from him through talks he delivers and articles or interviews. I have been following Arnold for a number of years. 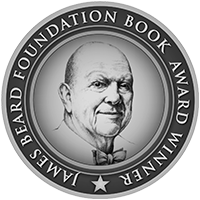 Besides being very knowledgeable on the subject, he is also very dedicated towards ‘his bees and honey’ . I have learnt so much from his talks and articles he writes from time to time. Thank you for sharing the beautiful write up and lovely pictures. Thank you Mary! I can only agree, Arnold is so knowledgable about bees and honey, there’s so much to learn from him! My bag will be full when coming back to France.